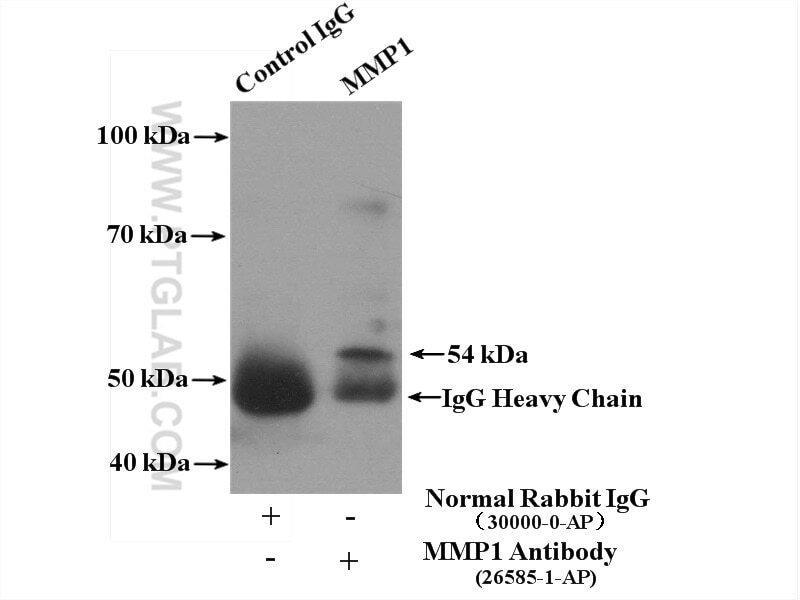 IP Result of anti-MMP1 (IP:26585-1-AP, 4ug; Detection:26585-1-AP 1:300) with Raji cells lysate 4000ug. 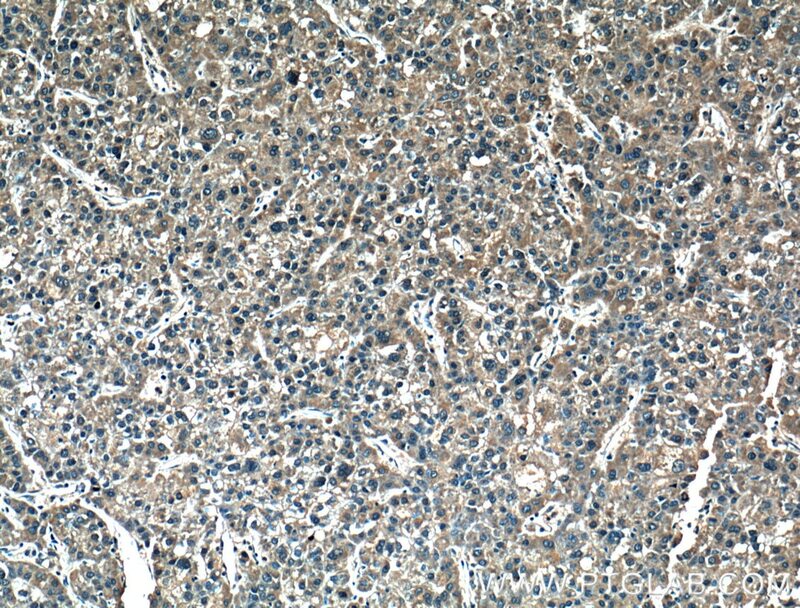 Immunohistochemical analysis of paraffin-embedded human cervical cancer tissue slide using 26585-1-AP( MMP1 Antibody) at dilution of 1:200 (under 10x lens). heat mediated antigen retrieved with Tris-EDTA buffer(pH9). 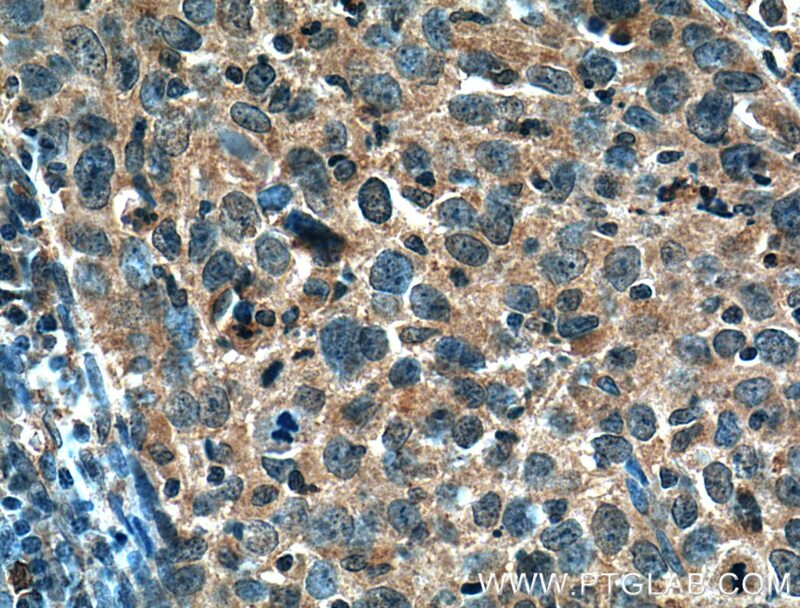 Immunohistochemical analysis of paraffin-embedded human cervical cancer tissue slide using 26585-1-AP( MMP1 Antibody) at dilution of 1:200 (under 40x lens). heat mediated antigen retrieved with Tris-EDTA buffer(pH9). Icariin inhibits MMP‑1, MMP‑3 and MMP‑13 expression through MAPK pathways in IL‑1β‑stimulated SW1353 chondrosarcoma cells. 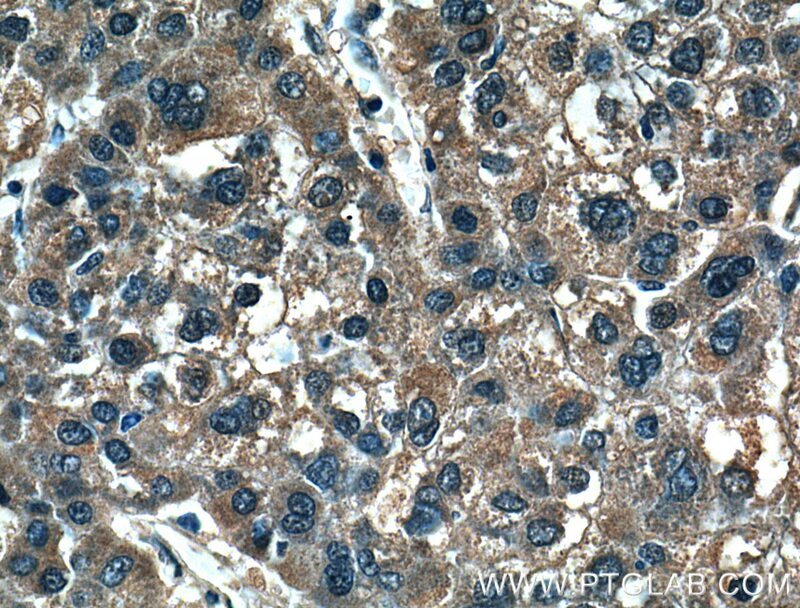 Immunohistochemical analysis of paraffin-embedded human liver cancer tissue slide using 26585-1-AP( MMP1 Antibody) at dilution of 1:200 (under 10x lens). heat mediated antigen retrieved with Tris-EDTA buffer(pH9). 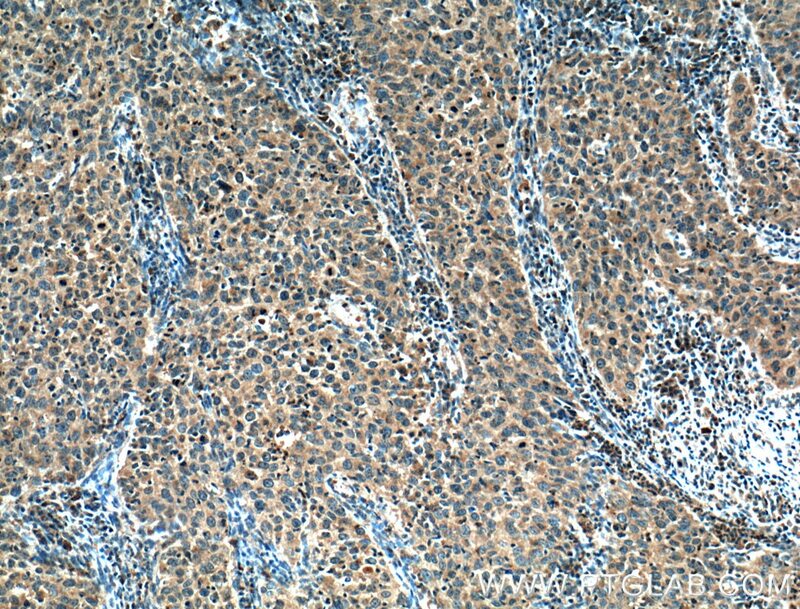 Immunohistochemical analysis of paraffin-embedded human liver cancer tissue slide using 26585-1-AP( MMP1 Antibody) at dilution of 1:200 (under 40x lens). heat mediated antigen retrieved with Tris-EDTA buffer(pH9).